﻿ Fashion Image Consultantion, Style Consultation, Make-Up Consultation, Bridal Image Consultation in in Bergen and Passaic Counties, USA. Do you wish you looked better in your clothes? Do you feel you don't have the right clothes to wear? suit you or how to wear them? Do you want to update your image but not sure where to start? Dressed 2 Perfection is dedicated to helping you look your best. Our services are designed to show you how to achieve your best image through color, style, and proportion. I will show you the perfect clothing fit, colors, and accessories to flatter your figure. I will design a make-up wardrobe of colors that complement your natural coloring along with a make-up application that fits your lifestyle. 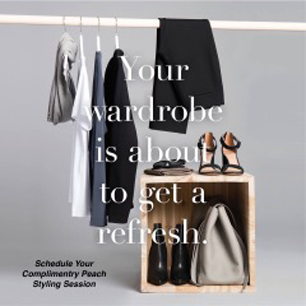 Please contact me and let me help you create your own personal style!